Comment: I have a corner duplex property with a front and backyard. I am looking for weekly maintenance and lawn mowing. There is a tenant with a dog on the property so gates must be kept closed. Comment: MY GRANDPA HAS ABOUT A HALF ACRE - FRONT YARD, BACK YARD AND A SMALL BACK PASTURE; HE SAID IT ALL EQUALS ABOUY A HALF ACRE. HE NEEDS IT TO BE MOWED AND THEN JUST TRIMMING AROUND THE EDGES. I BELIEVE IT WOULD BE 2 MONTH UNLESS DURING THE SUMMER THEN IT WOULD BE WEEKLY; HE DOES KEEP HIS YARD CLEAN. Comment: My neighbor and I both have lawns that are apx 50âx15â. We need a regular trim and mow weekly.our lawn is in good shape right now. Our neighbor hasnt been able to mow, and their lawn right now needs a big cut, and bushes a smart big prune. We think it might be more profitable for all concerned to use the same service and hope to decide in next few days. Comment: I just need some work down on my garden, and my lawn mowed. Portland Lawn Care Services are rated 4.76 out of 5 based on 3,394 reviews of 91 pros. 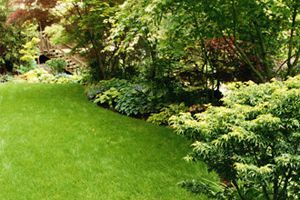 Not Looking for Lawn & Garden Care Contractors in Portland, OR?